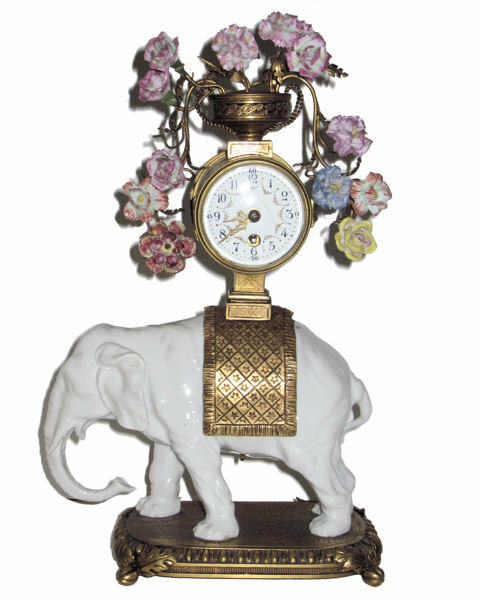 This lovely antique clock dates from the nineteenth century. 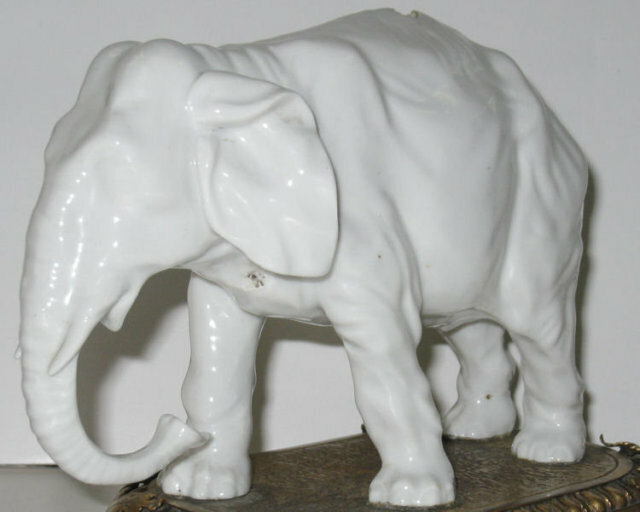 It features a white porcelain elephant figurine and metal frame with multi-colored porcelain flower heads. 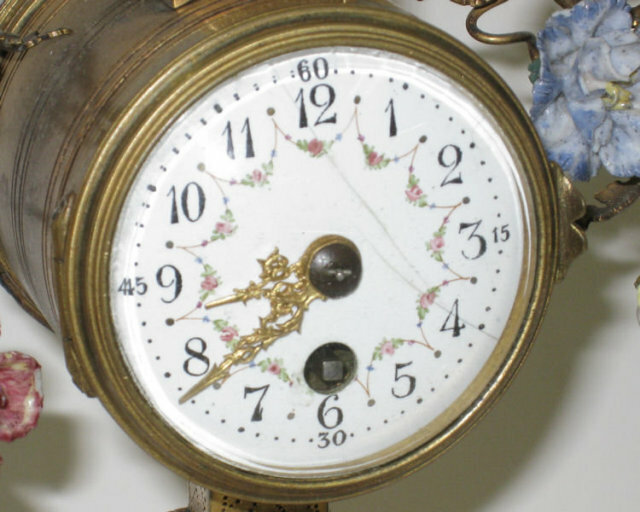 There is no marker's mark on the dial nor escapement and the working condition of the movement is not known. It measures 12.25" tall, 8" wide and 4.5" deep. Additional images forwarded upon request. 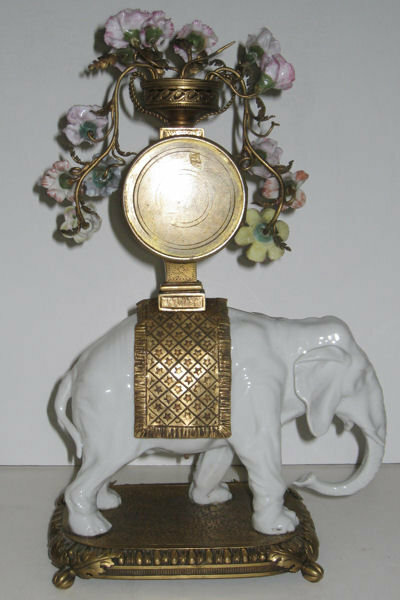 Items Similar To "Antique Porcelain Asian Elephant Clock"